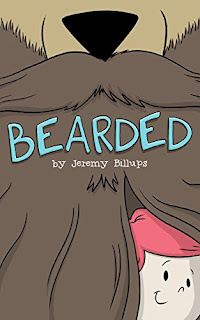 In this delightful and silly story written and illustrated by Jeremy Billups you'll get to meet a bear with a beard and tag along as he becomes rich and famous, wins beard-wrestling matches, gets knighted by a queen and meets other animals from all over the world with their very own beards. How long is this bear's beard? Are there really other animals with beards? And what exactly is this bear keeping tucked away in his beard? ive years ago, Corin Cadence’s brother entered the Serpent Spire — a colossal tower with ever-shifting rooms, traps, and monsters. Those who survive the spire’s trials return home with an attunement: a mark granting the bearer magical powers. According to legend, those few who reach the top of the tower will be granted a boon by the spire’s goddess. He never returned. Now, it’s Corin’s turn. He’s headed to the top floor, on a mission to meet the goddess. 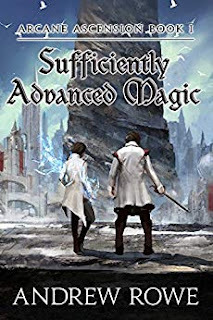 If he can survive the trials, Corin will earn an attunement, but that won’t be sufficient to survive the dangers on the upper levels. For that, he’s going to need training, allies, and a lot of ingenuity. The journey won’t be easy, but Corin won’t stop until he gets his brother back.